When Greg and I first moved to Seattle we lived in a not so nice area. It wasn’t dangerous it just wasn’t that nice. However there was a great little Mexican place not far from our apartment where we spent many evenings. My favorite dish there was Enchiladas Verde, it’s actually my go-to dish at most Mexican restaurants. I tend to judge them on their verde sauce. Now that we’ve moved closer to Seattle and in a much nicer part of town we don’t make it to that little Mexican place very often. I’ve been having a craving for verde sauce. 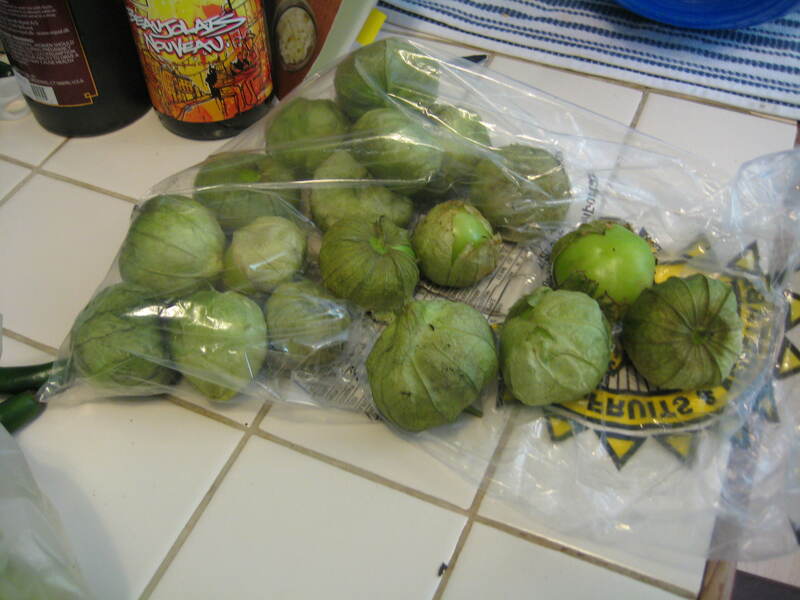 During my last trip to the fruit stand they happened to have a killer price on tomatillos and I knew it was time to try my hand at a salsa verde recipe I’ve been sitting on. 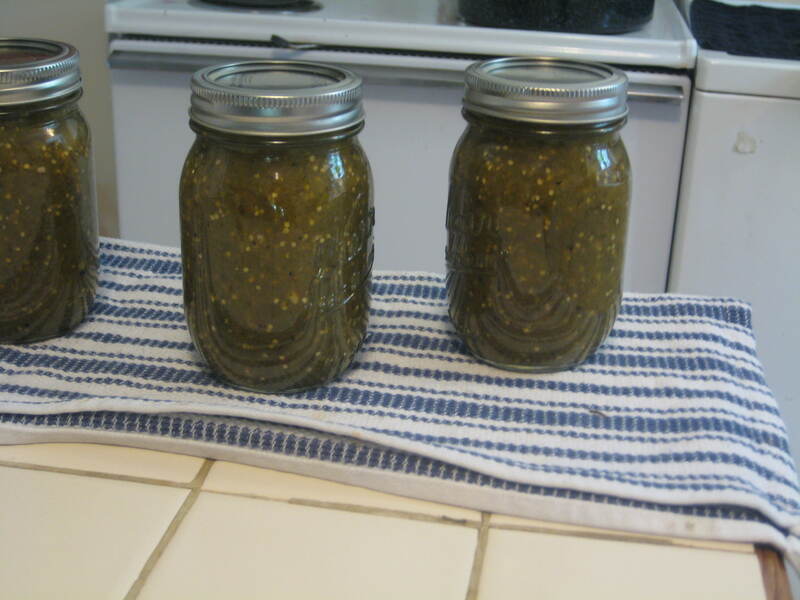 The plus side to this recipe is that it’s a canning recipe and makes 3 pints of sauce (which is about 3 recipes of enchiladas verde). That means three meals basically made in one afternoon – awesome. 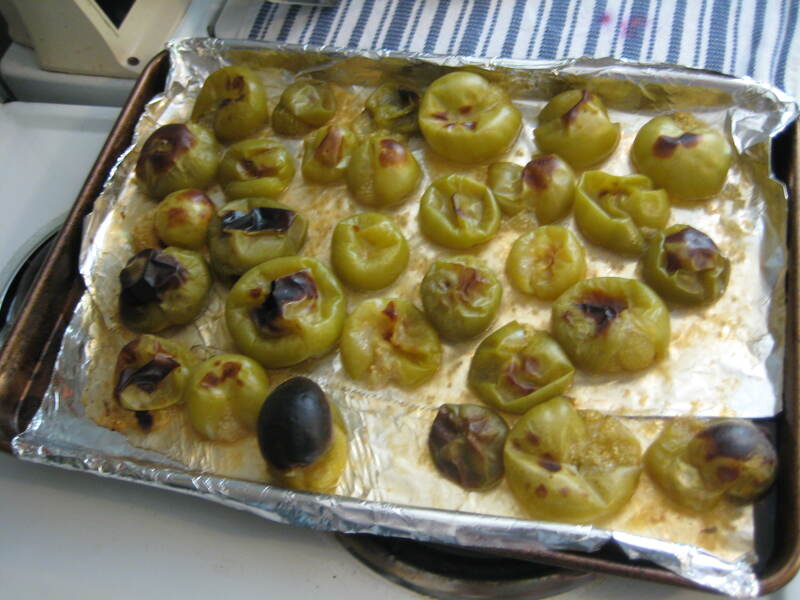 Put all the vegetables (tomatillos, onion, peppers and garlic) in a single layer in baking dishes or on rimmed baking sheets and roast for 20-35 minutes, turning occasionally, until blackened in spots and the tomatillos are soft, collapsed and leaking. 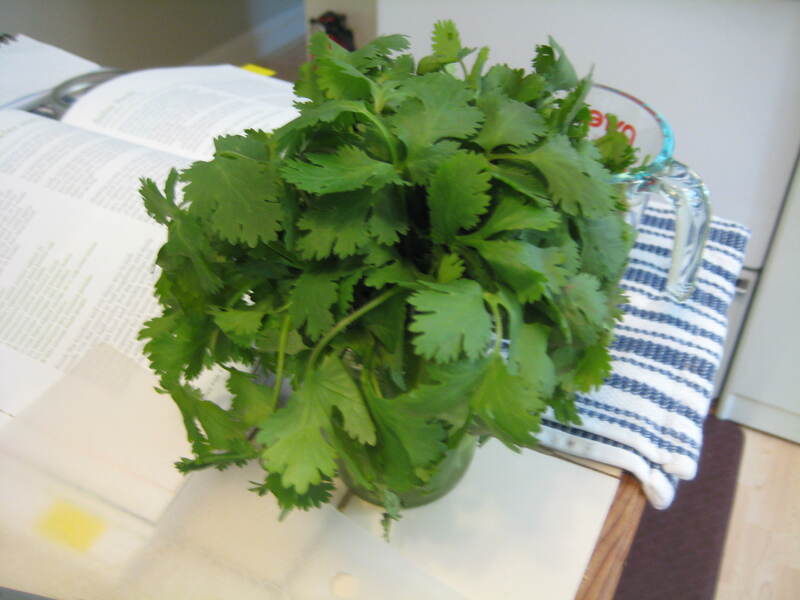 Working in batches, puree the vegetables and their juices, along with the cilantro, in a blender, covering the lid with a towel to prevent the hot liquid from exploding. Put the puree in a wide, 6-8 quart preserving pan or other nonreactive pot and stir in the lime juice and salt. Bring to a boil. Ladle the hot sauce into the jars, leaving ½ inch headspace at the top. Use a damp paper towel to wipe the rims of the jars, then put a flat lid and ring on each jar, adjusting the ring so that it’s just finger-tight. Return the jars to the water in the canning pot, making sure the water covers the jars by at least 1 inch. Bring to a boil for 5 minutes to process. Remove the jars to a folded towel and do not disturb for 12 hours. After 1 hour, check that the lids have sealed by pressing down on the center of each; if it can be pushed down, it hasn’t sealed, and the jar should be refrigerated immediately. Label the sealed jars and store. Don’t skip the broiling process but do keep an on your vegetables. If some look like they’re finishing up before others and starting to get too done, feel free to pull them out of the oven and leave the rest in until they’re finished. Be careful when boiling the salsa, I definitely got nipped by hot salsa when I was stirring it.